Jack White's New Solo Album Is "Practically Done"
"It's a bizarre one. 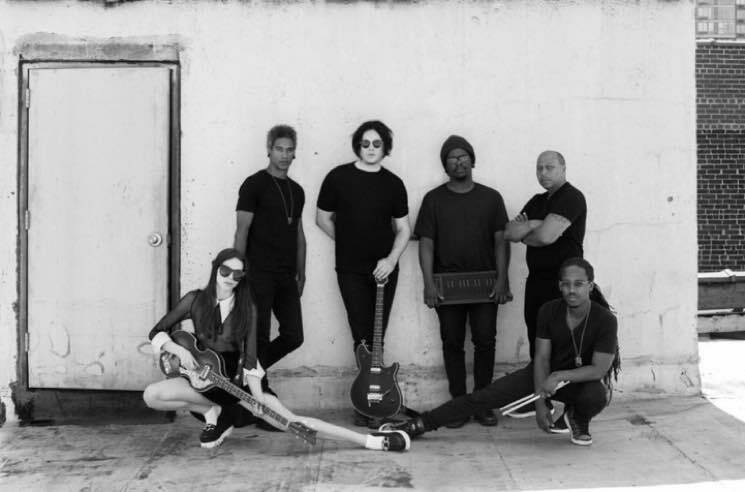 I've just got to let it settle"
Back in July, we learned that Jack White was at work on a third solo LP after some studio photos hit social media. Now, the former White Stripes frontman has said the record is finished. As Billboard reports, White gave the update Monday (November 6) after delivering a keynote speech at the Making Vinyl conference in his hometown of Detroit. The upcoming as-yet-untitled album would mark White's first new solo studio effort since 2014's Lazaretto, having delivered an acoustic career retrospective collection last year. White said that the new LP is "practically done, just some finishing touches. It's a bizarre one. I've just got to let it settle. I need to listen to it by myself. I haven't been able to listen to it by myself for awhile." Billboard also noted that it's expected to see release in the first half of 2018. When we first opened the Third Man store in Nashville we had a buzzer on the door and... we're like, 'Well, a couple of people a week will come by and maybe we'll sell 'em a 45 or something... It was not in our minds to open a record store. We just wanted to release our vinyl and get it back in print because I'd come into ownership again. We were very incorrect about that. Hundreds of people were showing up and it hasn't stopped since. And Third Man, we only sell our own records. We don't sell Mariah Carey and Eminem records. We only sell the records we produce and for a record store to succeed with that methodology is very strange. On paper that should not work, but it has and it's helped us fund other ideas. Forthcoming Third Man releases include a Chess Records reissue series and a live album from Father John Misty.